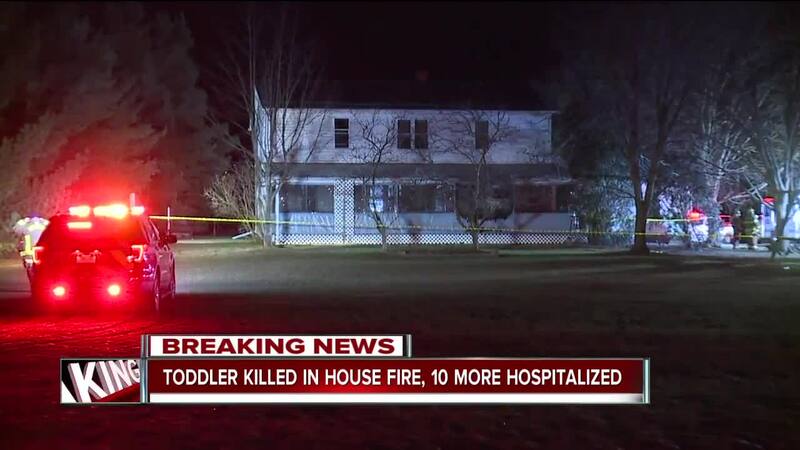 A 2-year-old has died after a fire at home in Middlefield. Authorities say a 2-year-old child has died and 10 family members were injured in a northeast Ohio house fire. Sheriff’s officials say the fire broke out Wednesday night in Middlefield Township, about 35 miles (56 kilometers) east of Cleveland. A University Hospitals Geauga Medical Center spokesperson said the toddler was declared dead upon arrival. Fire officials say the ages of the injured Amish family members range from 1 to 40 years old. Several family members were taken to local hospitals by ambulance, and a few were transported by helicopter. Authorities say the blaze was a "flash fire," meaning there weren't any active flames when firefighters arrived.